In a fairly slow week in the world of Cricket, England bowled out for 58 (after being 9/27) and lost by an innings to New Zealand. In addition, he Queensland Bulls also secured another Sheffield Shield title at Alan Border Oval – how brilliant! The third Test in Cape Town also wrapped up with an Australian loss at the hands of South Africa. The suspended then not-suspended Kagiso Rabada combined with ‘Aussie’ Morne Morkel helped South Africa leap (like Thompson’s Gazelles) to 2-1 series lead that has really taken a turn since Australia so comfortably won the first Test in Durban a few weeks ago. A fairly uneventful Test Match in Cape Town saw South Africa defeat Australia by 300+ runs, which conveniently shifted the Cricket world’s focus away from England’s pathetic 1st innings showing to New Zealand late last week. 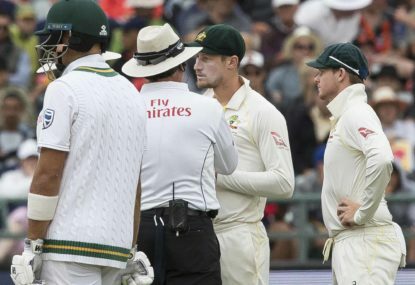 An issue was raised about some of the Australian players colluding in an attempt to alter the condition of the ball on Day 3. You may have heard about this – it’s on Twitter. Cameron Bancroft was caught out, seemingly by the only TV camera at the ground not trawling the 75-100 spectators for attractive women, when he was seen to be stowing something other than short-leg’s box down the front of his trousers. That’s right – we can’t find MH370, or Harold Holt, or Taylor Walker in last year’s AFL Grand Final, but we can sure find a bloke just plying his trade for his country trying to hide a thumbnail size piece of something down his strides. Come on guys, seriously? Then there was that presser after the day’s play, where Steve Smith admitted there was a leadership team chat where a plot was hatched. 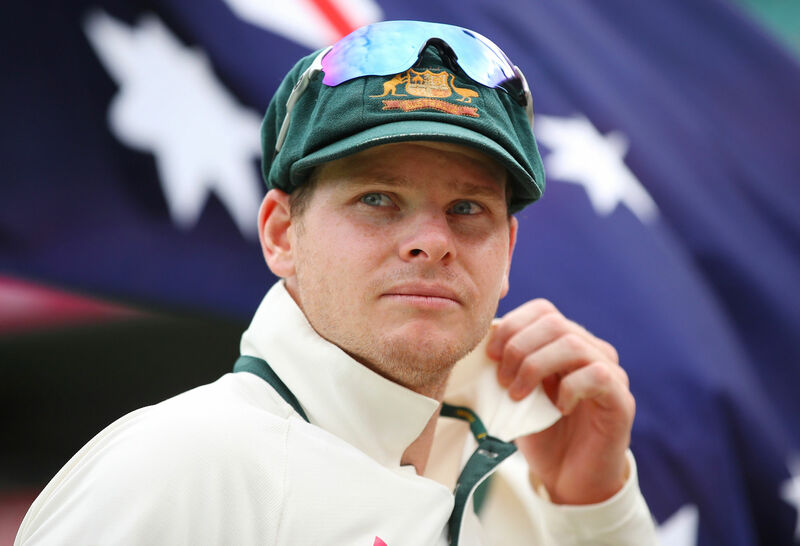 Yep, okay – Steve Smith, David Warner, Bancroft et al. should be sanctioned by the ICC under Law 23.5 subsection (iii) Players being dumb cheats. Beyond this though, can everyone just chill out? Seriously, flip your binoculars around the other way, this is not such a big deal. Michael Atherton’s done it. Shahid Afridi’s done it. Rahul Dravid’s done it. Sachin Tendulkar’s done it. Faf ‘Shirt Off’ Du Plessis has done it, not once, but twice. Please review the sanctions meted out to these blokes and read-up on the code of conduct in cricket before you come anywhere near me with a diatribe exalting the virtues of anything other than a fine and short suspension. Please, do that. This isn’t a big deal. Come back to me with a better idea of scourges on the game like spot-fixing, match-fixing, and Michael Clarke’s commentary – ball tampering is quite rightly, low-end. This brings me to my point about what can be done in the future to mitigate against this ‘burn the boats’ scourge on the game. The ICC has been asleep at the wheel on this for years now. Forget bat widths, boundary sizes, and DRS umpire’s call. What about the key issue of why cricket whites even have pockets? Tell me – anyone? The ICC has been negligent in this area in not mandating a pocket ban for fielders. Quite literally, the solution is a stitch-up. If players want gum on the field, the undergraduate intern could bring it out like spare pairs of gloves at drinks breaks. Or better still, the umpires can become licensed gum-dealers. I’m all for gum-control. You know it makes sense. Seriously, there’s nothing to see here. Everyone needs to take a Bex, lie down and just focus on the Queensland Bulls, or how horrible England is at Test cricket presently. It’s a bad look, but move on people – seriously. This problem is symptomatic of a much grander festering problem. So, can we focus on something else?